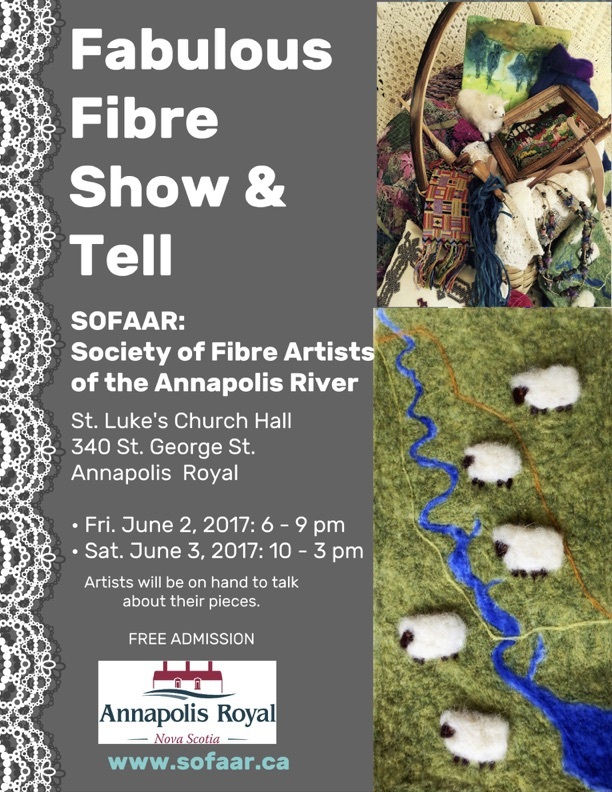 Coming right up in conjunction with Annapolis Royal’s First Friday events, is our 2nd annual Fabulous Fibre Show and Tell. 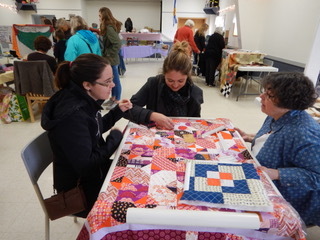 Many of the 90 SOFAAR members will be displaying their fibre creations at the Saint Luke Parish Hall in Annapolis Royal on Friday evening June 2nd between 6 and 9 pm and again on Saturday from 10 to 3 pm. We hope you will all come out and see what wonderful work is being done. With over 225 people coming through the door of the Firehall on Saturday, April 23rd, “Come Play with Us” was a great success for everyone. 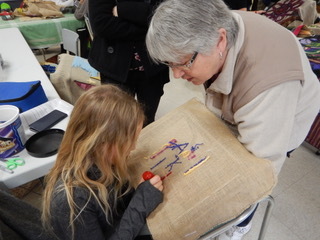 23 demonstrators (members and non-members of SOFAAR) spent the day talking and demonstrating about their favourite fibre art. 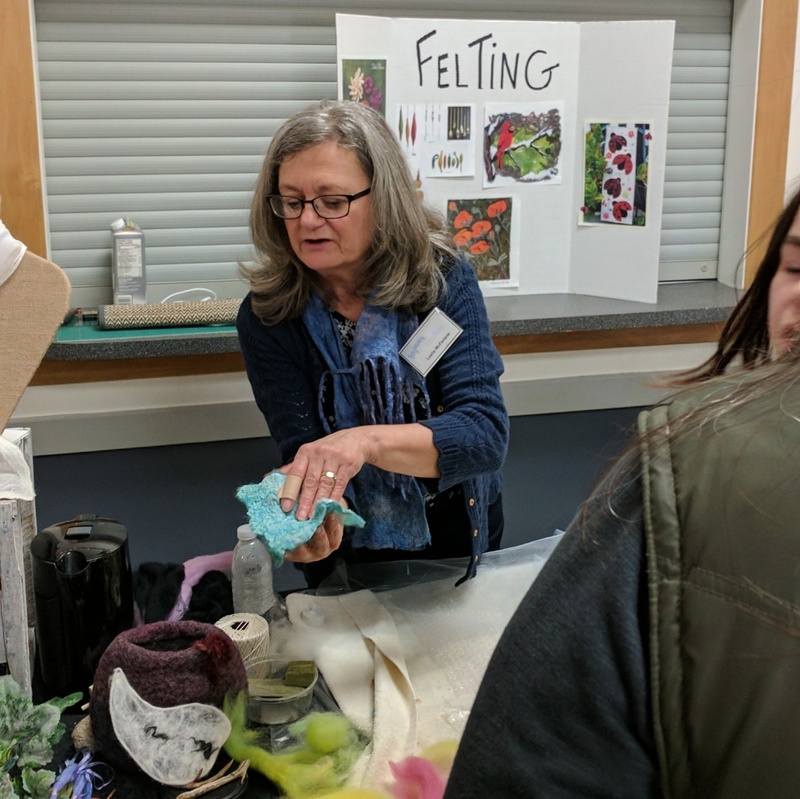 We had everything from knitting (including spool-knitting) and crochet to quilting, needlepoint and surface embroidery, Swedish weaving, needlefelting, spinning, basket making and hooking. We were delighted to see so many families come out and spend several hours trying all kinds of techniques. The children were fascinated by the hooking and wet felting. Many visitors were intrigued by Swedish weaving and the spinning. We even had a “sew on a button” station which young and old both had a go at! SOFAAR would like to thank “Awesome Annapolis” for their $1,000 grant which enabled us to promote this event. We look forward to seeing you all at our members’s exhibit on June 2nd and 3rd at the Saint-Luke’s Parish Hall in Annapolis Royal.